La Liga injury news. Barcelona center-back Thomas Vermaelen has suffered another injury this season and now he is likely to be out for the remainder of the season. Barcelona center-back Thomas Vermaelen has suffered another injury this season and now he is likely to be out for the remainder of the season. The former Arsenal star who has started only six games for the Camp Nou side is now out with a calf injury. The 30-year-old joined Barca in 2014 summer and has made only 21 appearances so far in all campaigns. The last time he played was a month ago, in a big La Liga win over Getafe. Barca announced earlier today that the Belgian defender has picked up a calf injury and would be out for an unknown time period. It is expected that he will be out for atleast a month. 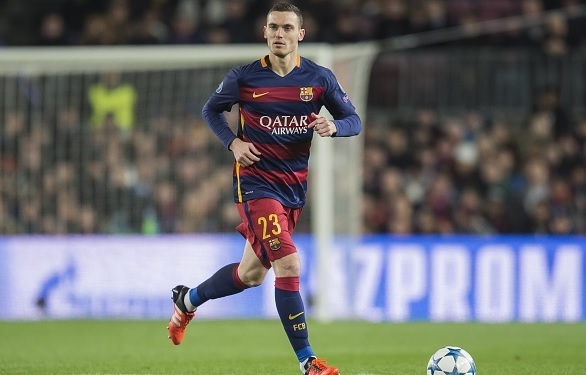 Barca already have defender Jeremy Mathieu on the sideline and now Vermaelen has also joined him. The Catalans are currently leading the La Liga table with three points above Atletico Madrid. Barca will now prepare without them for the upcoming second leg game against Atletico Madrid in the Champions League this Wednesday.